Babes Ride Out 5 is just around the corner, and everybody from attendees to volunteers are gearing up for this unforgettable event. 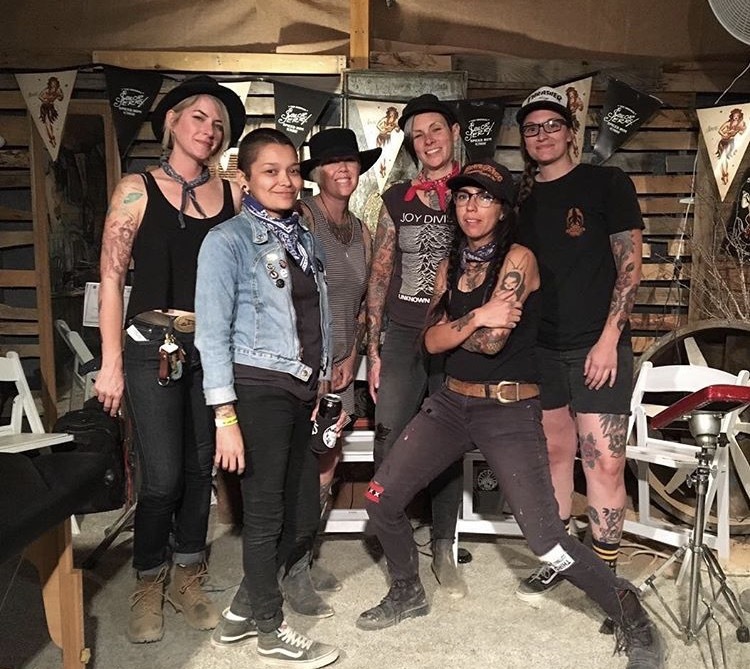 Tattooing has been a part of the event for the last three years, and this year we are welcoming back the same crew that worked Babes Ride Out 4. The lineup included Vicky Coleman, Christina Platis, Vanae Rivera, Goonies Ulloa, Candice Bauman, and Tiffany Lynn. The event draws women from all over the world. Some choose to make the journey solo, while others travel in a group. The best part of the weekend are the memories that are made and one of the best ways to commemorate the trip is to get a tattoo. Last year we squeezed six ladies into the tattoo booth in order to make as many quality tattoos as we could over the span of three days. With a line out the door the whole time, and over 60 designs to choose from, we cranked out hundreds of tattoos. Every year it is first come first served, so if you want to get tattooed this year make it a point to stop by early and get on the list!